The Xiaomi Mi Note 2 has been launched in China. The new smartphone is made from high-grade 7 series aluminium and sports a curved 3D glass on both front and back. While the stunning smartphone is still to go through performance reviews, it seemed to have won many hearts on paper. In fact, the power-packed smartphone might be the best alternative to the Samsung Galaxy Note 7. 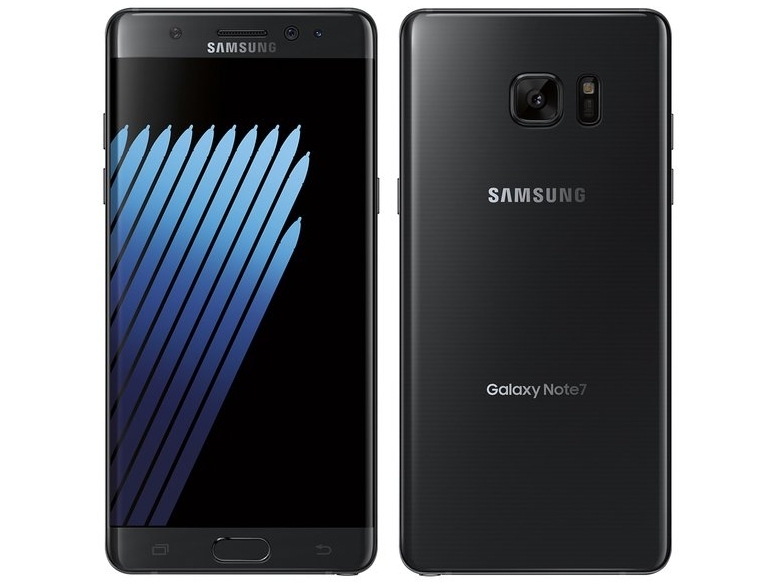 The Galaxy Note 7 was also touted as the best Android smartphone ever, upon its launch. However, an unfortunate series of incidents led to the ultimate recall of the flagship handset. It remains to be seen how the new Xiaomi Mi Note 2 performs in the real world situations. Still, from the specifications point of view, the new Xiaomi smartphone looks like a better alternative to the Note 7 than Google Pixel or iPhone 7 smartphones. The Xiaomi Mi Note 2 sports a 5.7-inch OLED dual-edge curve screen display with full HD resolution and a pixel density of 386ppi. 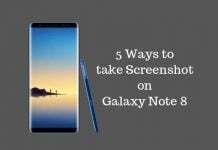 The Samsung Galaxy Note 7 sports a 5.7-inch Super AMOLED capacitive touchscreen with QHD resolution and a pixel density of 518ppi. The premium looking Mi Note 2 is powered by a Qualcomm Snapdragon 821 processor [uses 14nm process] with an Adreno 530 GPU. It comes in two variants – a 4GB RAM +.64GB internal storage and a 6GB RAM + 128GB storage. It runs Android Marshmallow OS with MIUI 8.0 on top. 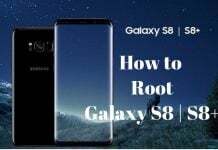 While the Note 7 is powered by an Exynos 8890 processor with 4GB RAM and 64GB internal storage (expandable up to 256GB via a micro SD card). It also runs Android Marshmallow operating system. The Xiaomi Mi Note 2 also sports a powerful 22.56MP main camera with Sony IMX318 sensor, f/2.0 aperture, EIS (Electrical Image Stabilization) and LED flash. It also sports an 8MP auto-focus front camera with Sony Exmor IMX268 sensor, f/2.0 aperture and Beautify v3.0 feature. On the other hand, the Galaxy Note 7 sports a 12MP rear camera with f/1.7 aperture, 26mm lens, phase detection auto-focus [PDAF] system, OIS, 1/2.5-inch sensor size, 1.4 µm pixel size and a LED flash. It also features a 5MP front camera with f/1.7 aperture and 22mm wide-angle lens. 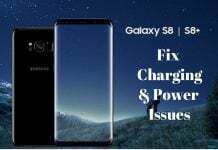 While the Mi Note 2 is backed by a 4,070mAh battery with Quick Charging v3.0 technology, the Note 7 is backed by a 3,500mAh battery [made by Samsung SDI]. Additionally, the Samsung Galaxy Note 7 comes with IP68 water-and-dust resistant certification. In China, the Xiaomi Mi Note 2 is priced at CNY 2799 [approx. Rs. 27,800] for the 4GB RAM/64GB storage variant. While the 6GB RAM/128GB Storage variant costs CNY 3299 [approx. Rs. 32,600]. A 6GB RAM/128Gb Storage variant with Global LTE support is priced at CNY 3499 [approx. Rs. 34,600]. The Samsung Galaxy Note 7 was priced at $849.99 [approx. Rs. 56,800]. Despite huge price difference, the Mi Note 2 seems to take Galaxy Note 7 head-on in terms of specifications. 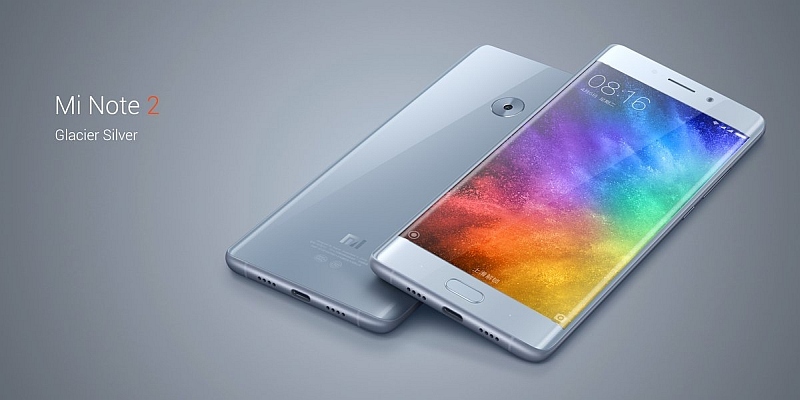 The new Xiaomi smartphone also looks similar to the Note 7, thanks to its curved design and similar display size. The Mi Note 2 seems like a smarter alternative for Galaxy Note 7 users. Next articleiOS 10.1 Update Erases Health App Data, Is There Any Way to Get It Back?